Don’t lie about your age; love it, and then take good care of your skin❣ Sadly, as we age our face usually shows the signs first! This face butter has a Shea and Mango butter base, as well as lots of face-loving, skin-nourishing oils such as Argan and Jojoba, Avocado🥑 and Rosehip🌹! Creamy and smooth, pure delight for your face! Wash your face with one of our moisturizing facial soaps, lightly pat dry, then use a small amount of face smoothie. You’re going to find yourself loving your new skin care routine! Now with more Argan and Abyssinian! Instructions for use: As with all new products, test on small area of skin and wait 24 hours before continued use. If any reaction occurs discontinue use immediately. First, wash face with a good quality facial soap*. Remove small amount with scoop or clean, dry fingertip and replace cap. Pat gently onto clean, dry areas of face in very small amounts as this is extremely concentrated. Pat in, or massage gently in circular, upward motion and allow 2-3 minutes to fully absorb. If not fully absorbed in this time, you may be using more than necessary. Nothing but great oils and butters! We have put hundreds of hours into researching just the right oils and butters for the very best skin care possible! Oils have varying acid profiles that have differing affects on your skin, and we honestly believe we have put together some of the very best! We do have a line up of choices bc different people have different reactions to ingredients. For example, if you have a severe allergy to Mangoes, you may want to try our Visage de Beauté instead of this product. Or if you prefer a serum, give our Love Your Face Serum a try. If you have a severe allergy to nuts you probably don’t want to use any product with Argan Oil in it, etc. What our product can and can’t do! Every choice we made when choosing ingredients for our face products, was due to its purported use for dry, aging skin. However, don’t read this as a claim to solve all the world’s, or even your face’s problems, bc it won’t.😇 Sometimes I see claims that make my eyes pop out of their sockets!😳 Face Smoothie will not turn back the clock to your teenaged years! You will not lose 10 lbs by applying this to your face! It will not undo the bad choices we all have made that have added lines to your beauty! However, we do guarantee you will be happy with the product, or we will refund your money! We have had many customers take the “30 day* challenge” and become consistent users of our face product line! Here’s what you do: apply this (or any of our leave on face products) to one side of your face and neck for 30 days, morning and night, after washing you face with one of our Face Bars. Do what you normally do to the other side of your face. Do NOT tell your family/friends you are doing this! After the 30 days are up, ask family or close friends which side of your face looks better close up! We think you’ll be pleased with the result! The trial/travel size is large enough for the challenge. Do not use on children under 6 years of age. As with all products keep out of the reach of children. None of our body products contain water or artificial, chemical preservatives! The tub should be used within 3-4 months of purchase, or kept in the refrigerator for longer storage. I am so impressed with how my skin looks after I use this for just a couple of days! I have a friend that uses it as well, and her skin has a definite younger appearance and glow to it. I started using it after I asked her what in the world she used. Hey, anything is worth a try when you get to that age where fine lines start showing up. I’ve also been impressed with how soft my skin and neck feels from it too. I actually use it instead of foundation, which causes my powder to stay put on my face better. I love this product! It makes my face feel so soft. My skin is naturally dry so I’m happy that the smoothie helps to moisturize my face throughout the day. I also use at night before bed. Looking forward to trying other products from this company. Thank you for taking the time to review our products! I’m so thankful you found our Face Smoothie helpful for you! My husband and I both use Face Smoothie (Dewdrops scent) on a regular basis, and I like it so much, I’ve shared it with several friends! I love how smooth and creamy it is, and I love knowing that I’m putting healthy ingredients on my body. I like to use it on my face and neck before bedtime to keep my skin moisturized. It’s pretty rich, so if I use it in the morning, I apply a smaller amount and give it a few minutes to absorb before putting on makeup. Ingredients: Shea butter, Avocado oil🥑, Beeswax, Grapeseed oil, Mango butter, Avocado butter🥑, Argan oil, therapeutic grade Essential Oil, Aloe extract, Evening primrose extract, Natural Vitamin E, Rosemary Oleoresin. Ants seem to be everywhere, all the time, but especially in the summer months🐜🐜🐜. So keep a tube or a tub of our Sting Stopper in your purse for those annoying (if incredible) little creatures. This Herbal Lotion Alternative is specially formulated with awesome Oils🥑🎃🍫🍑, along with incredible Herbs🌿, Bentonite Clay, Menthol & Colloidal Oats for irritation relief. Check out the ingredients!👇 Please Note: Sting Stopper Is NOT Intended to treat an allergic reaction from stings in any way. 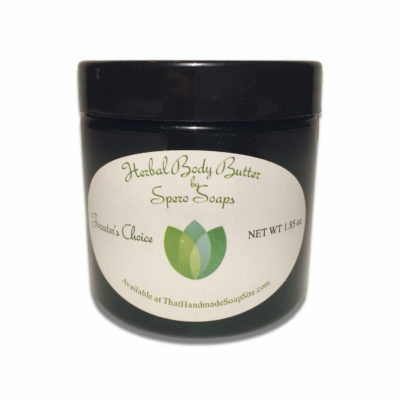 It is only intended to help diminish the irritation & itch of non-allergic reaction. Dial 911, or go to your Emergency Room if you experience an allergic reaction from stings of any kind, or if you have reason to believe you may have been bitten by a poisonous bug, insect, or spider! Please be aware the Charcoal may stain so if staining is a concern try the regular Sting Stopper without the Charcoal. Natural Lotion & Bug Repellent in 1 great product. Bug repellent lotion? Now that’s hard to beat. 🐜 Scented with our Summer Nights essential oil blend, It also contains Karanja oil, so you’ll be armed to face the outdoors. Please note: As we have no control over packages after they leave us, we do not guarantee this product will not melt during shipment!